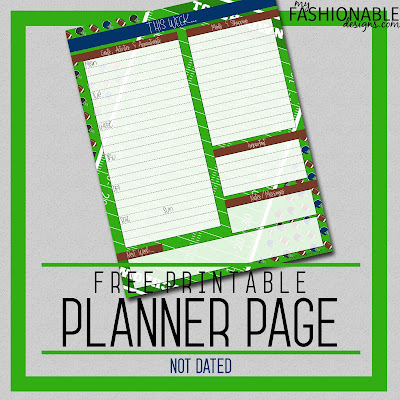 My Fashionable Designs: Free Printable Planner Page: Football Theme! Free Printable Planner Page: Football Theme! Happy Friday!! Enjoy this football-themed planner page! It's 8.5x11", not dated. In order to keep these printables FREE, I do not offer customization. Please visit my Etsy shop for custom order inquiries and price quotes! I post new planner pages every Friday! See the link "PLANNER PAGES" at the top to quickly find each week's new page. Sometimes I'll include non-dated pages too! For your personal use only. Professional printing okay. Free FALL Instagram Story Templates!!! Basketball Party: Photos and Free Printables!